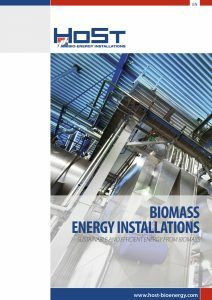 Download our Biomass Energy Installations brochure (pdf) and learn more about our biomass and waste-fired combined heat and power plants and biomass and waste-fired boilers. Click on the photo to open and download the brochure. Having trouble opening or downloading the brochure? Send an e-mail using the contact form and ask us to send you the brochure by mail. Don’t forget to mention which brochure you would like to receive. We will then send you the requested brochure as soon as possible.